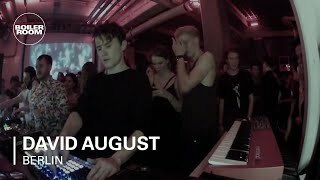 One of the biggest draws in dance music, David August, is renowned for his live shows. His sets blend musicianshop with technical nouse in a way that makes his efforts obvious to the audience. As for his style, August made his name through a run of melodically rich club tracks for Diynamic Music and, most recently, Dixon and Âme's all-conquering Innervisions label.